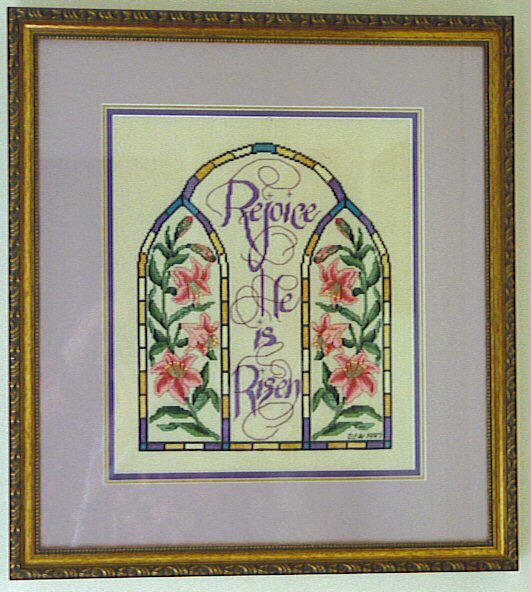 The design is called Rejoice Sampler and it appeared in Cross Stitch & Country Crafts Magazine in March/April 1996. 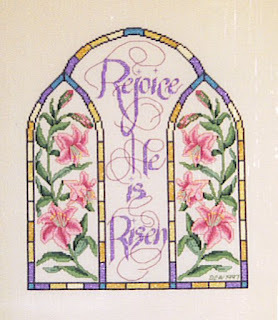 The designer's name is Donna Yuen. 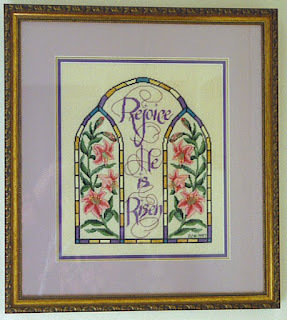 It was stitched on ivory 32ct Belfast linen and the stained glass border features metallic blending filaments. 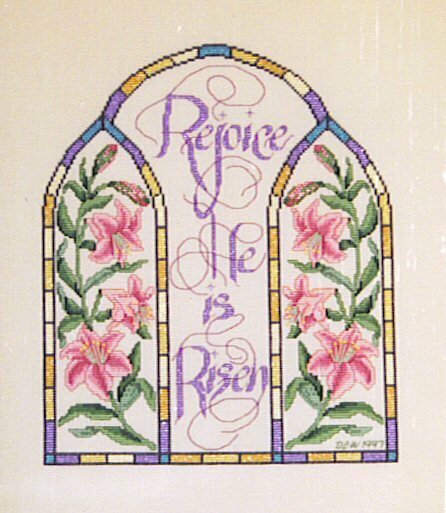 I stitched this just in time for Easter in 1997.